The federal Food and Drug Administration and a leading doctor are disputing suggestions by television show host Dr. Mehmet Oz that trace amounts of arsenic in many apple juice products pose a health concern. Oz said on his show Wednesday that testing by a New Jersey lab has found what he implied are troubling levels of arsenic in many juices. However, the FDA says the lab methods were not appropriate and that its own tests show much lower arsenic levels. The agency warned “The Dr. Oz. Show” producers in advance that their testing was misleading. The issue: arsenic is naturally present in water, air, food, and soil in organic and inorganic forms, according to the FDA. “Organic arsenic is essentially harmless,” the agency says, and it passes through the body quickly. Inorganic arsenic is the type found in pesticides, and consuming it at high levels or over a long period can cause concern. 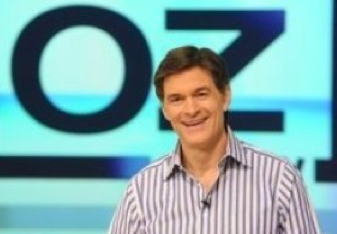 The testing “The Dr. Oz Show” did was for total arsenic, and the FDA even disputes those levels. The agency’s own tests found lower total arsenic from one of the same juice batches the show’s lab tested. “There is no evidence of any public health risk from drinking these juices. And FDA has been testing them for years,” the statement says. Note to consumers: They are talking about organic and inorganic arsenic – not organic versus non-organic fruits and vegetables. An independent lab agreed with the FDA’s contention that the form of arsenic matters. “A lot of things can have organically bound arsenic like kelp, but most of those flow right through you” and don’t accumulate, said William Obermeyer, a former FDA chemist who cofounded ConsumerLab.com. It is a company that tests dietary supplements and publishes ratings for subscribers, much as Consumer Reports does with household goods. Sullivan said Oz does not agree that organic arsenic is as safe as authorities believe, and that the show will do further tests to distinguish organic from inorganic arsenic in juice samples.